Flip a coin. For each head x 10. Do this for 5 turns. Attack 2 : Orange juice. 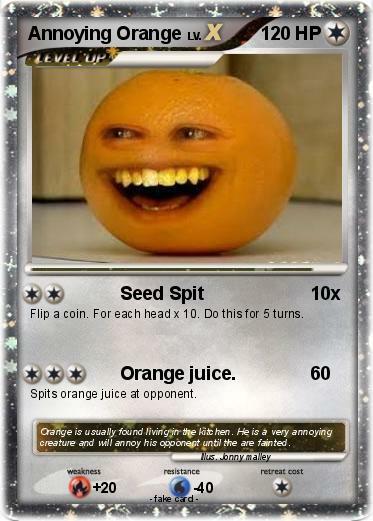 Spits orange juice at opponent. Comments : Orange is usually found living in the kitchen. He is a very annoying creature and will annoy his opponent until the are fainted.